MEET: Friday, March 8, 2013. Cars leave at 6:00 p.m..
RETURN: Sunday, March 10, 2013 6 p.m. MEALS: Have Friday dinner already, or bring something to eat on the way. Bring your own snacks. The weekend of March 8-10, 2013 we will be having our Trail To First Class camp session at Camp Delezenne. 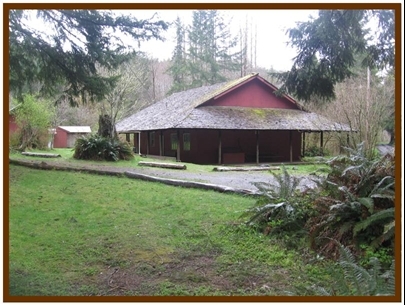 Camp Delezenne is Located near Elma, Washington, 35 minutes west of Olympia. We will be staying indoors, at the Lodge. This is an annual Troop Campout with the purpose of having the older Scouts teach the younger Scouts various skills as required by Tenderfoot, Second Class and First Class Ranks. Most of our time will be indoors, but part of the time will be out on the patio and fire ring. So far the weather is looking good. We plan to meet and carpool from the Old Fire Station (TOFS) where we hold meetings. We will leave at 6 p.m., so arrive before then. We will leave camp after lunch and should be back in Lacey by 2 pm or so. For this outing, the Troop is supplying food, you only need to bring your own snacks. If you are teaching a class, bring the supplies you will need, or ask someone else to.